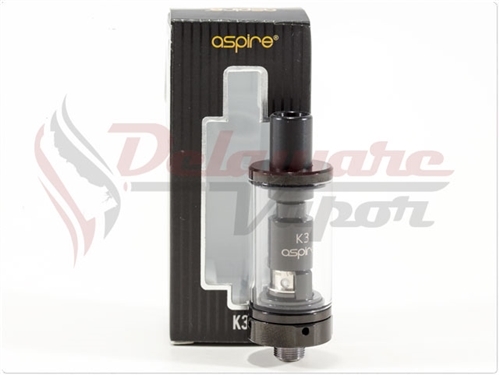 The Aspire K3 tank, the same tank that comes in the Aspire K3 Kit. The K3 tank comes with a 1.8ohm coil which is perfect for mouth to lung vaping. 2ml eLiquid capacity. NBVC Coils for the K3 Tank can be found here!